managed to save from TappedIn. 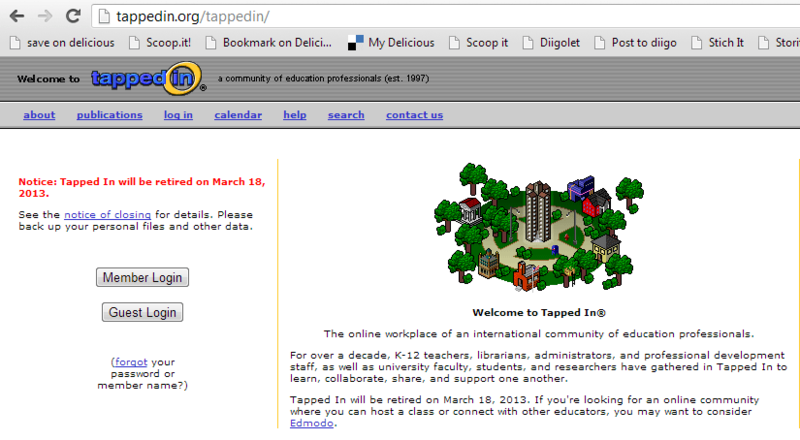 We set up a wiki at http://tappedin2013.pbworks.com/ which you are invited to join and contribute URLs to or upload the artifacts you have managed to save from TappedIn. Check back here to see what we’ve accumulated and help with the display, if you wish. Find the time in your time zone by clicking this link.